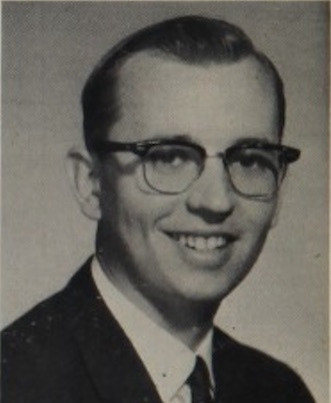 Mr. Esgate taught German for many years at Sunny Hills, beginning in the 1960s. Wallace Gerald “Gary” Esgate was born on September 4, 1940 in Klamath Falls, Oregon. He died at age 54 on October 5, 1994 in Creswel, Oregon. Burial was at Sunset Hills Cemetery, Eugene, Oregon. NOTE: The way the Internet is, very few full obituaries are available for people who died more than about 15 years ago. We may have to be content with these bare bones obituaries, unless we make comments and add information. - Paul.